Did you catch Studio Two Three steamrolling map prints of Richmond at last month’s RVA Street Festival? Well, head out to The Village Cafe tonight Wednesday October 2nd at 7pm for a tap takeover featuring a dozen Hardywood beers. The Village will be donating a portion of beer sales to the studio’s nonprofit printmaking. 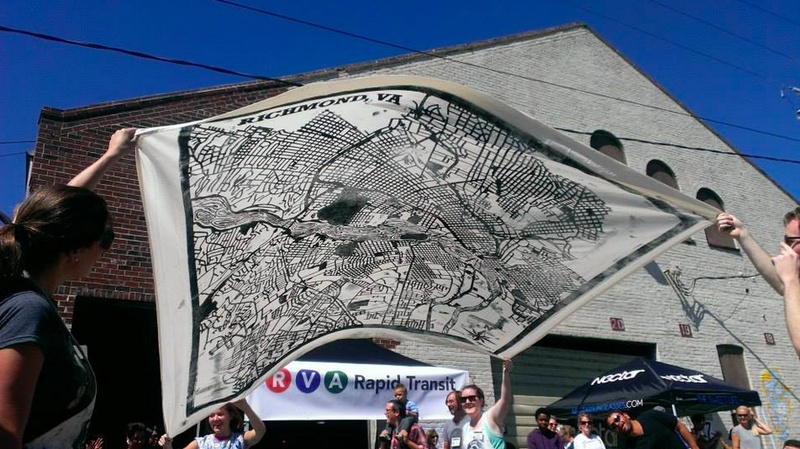 Check out some of the artists work on display and stay as they raffle off an eight foot map of Richmond made with a giant woodcut and a steamroller at the Street Art Festival. Head out and raise a glass and money for the arts. Check out the Facebook event for more information.